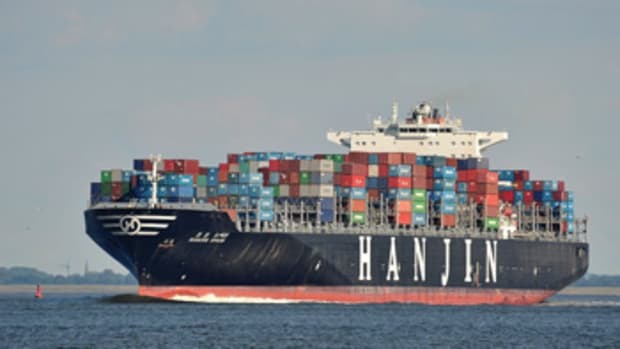 After a season of just getting the word out, the National Oceanic and Atmospheric Administration has begun levying fines running to tens of thousands of dollars for breaking the seasonal whale protection speed limit off busy East Coast ports. As the year began, NOAA had cited seven ships for 49 violations and levied fines ranging from $16,500 to $49,500 (based on the number of violations), says Lesli Bales-Sherrod, spokeswoman for NOAA&apos;s Fisheries Office for Law Enforcement. Each count alleging a violation of the speed limit drew a $5,500 fine. Twenty-six of the alleged violations were off Charleston, S.C., 10 off Savannah, Ga., eight off Norfolk, Va., and five off New York, Bales-Sherrod says. 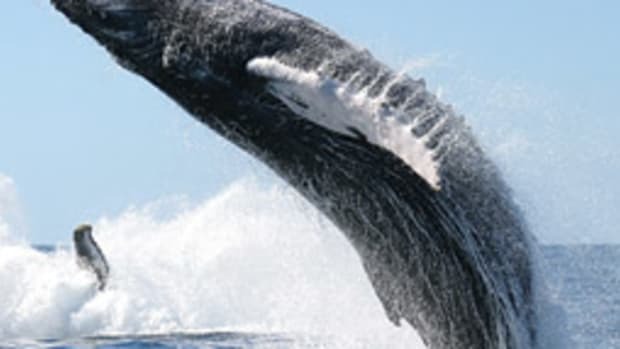 All vessels 65 feet or longer - recreational and commercial - must throttle down to 10 knots when entering or leaving right whale seasonal management areas, extending 20 nautical miles offshore along the East Coast. These are the waters in which the whales congregate and calve as they migrate. 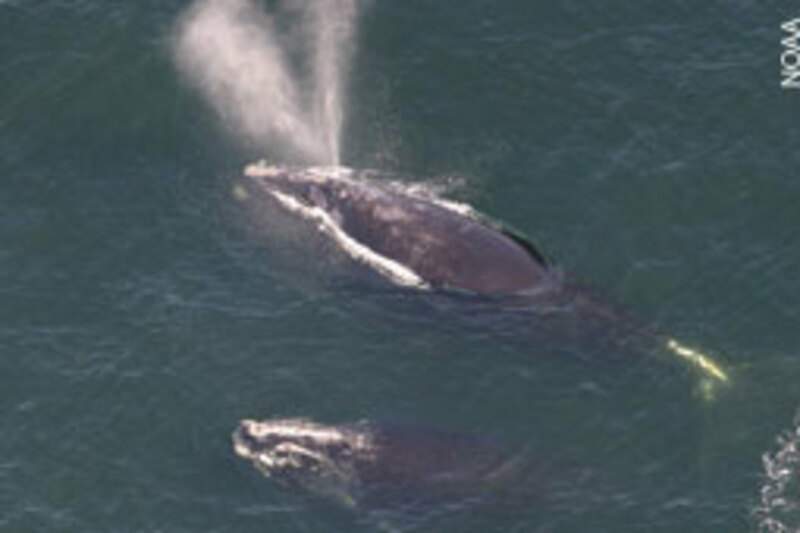 NOAA says 83 percent of Mid-Atlantic right whale sightings occur within 20 nautical miles of shore. The civil administrative penalties - the first levied since speed limits went into effect in December 2008 - were assessed Nov. 16 (one was reissued Dec. 17 to correct an error) against container ships and car carriers alleged to have committed multiple infractions during the speed limits&apos; second season from December 2009 to April 2010 in the Mid-Atlantic region, Bales-Sherrod says. 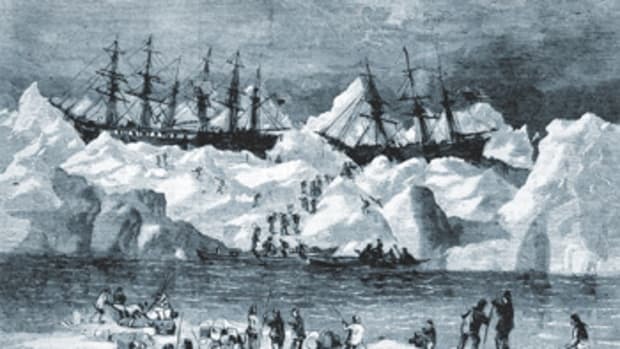 Four of the ship operators were Japanese companies, two German and one Greek. The companies were given 30 days to respond, either by paying the fine, seeking to modify it, requesting a hearing or requesting an extension. Bales-Sherrod says one company paid its fine in full; the other cases remained open. 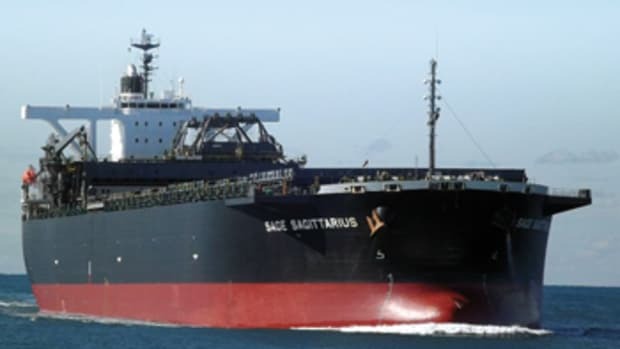 The Greek ship, its owner facing a $49,500 fine, is alleged to have been speeding Dec. 1 and 12, 2009, off Charleston; Jan. 8, 2010, off Charleston; Feb. 2, off New York; Feb. 4, and March 2 and 4, off Norfolk; and March 4 and 6, off Charleston - a total of nine counts. Bales-Sherrod says NOAA, the Coast Guard and state marine police are on the lookout for speeding vessels. Investigators also can calculate speed from analysis of the continuous stream of position reports sent by the ships&apos; Automatic Identification System equipment. The Atlantic right whale population has fallen to around 350. "Because of the species&apos; low reproduction level and small population size, even low levels of human-caused mortality can pose a significant obstacle for North Atlantic right whale recovery," NOAA reports in its Oct. 10, 2008, Federal Register speed limit proposal. "Population modeling studies in the late 1990s ... indicated that preventing the death of two adult females per year could be sufficient to reverse the slow decline detected in right whale population trends in the 1990s." NOAA contends deaths caused by ship strikes and entanglement in fishing gear have "severely impacted" the right whales&apos; ability to recover. 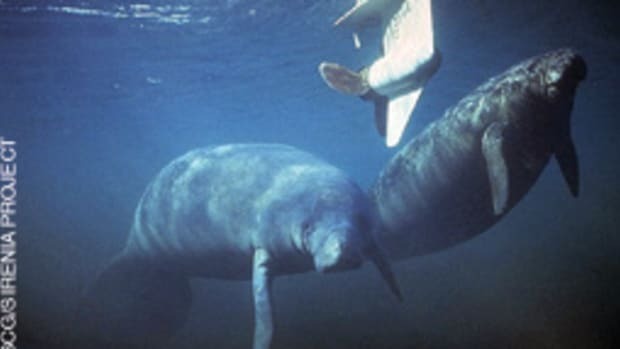 "The species&apos; recovery is dependent upon the protection of each remaining whale," says NOAA special agent Stuart Cory in a press release announcing the fines. The 10-knot speed limit is in effect from Nov. 1 to April 30 off Providence, R.I.; New London, Conn.; New York; Philadelphia; Wilmington, Del. ; Baltimore; Norfolk; Morehead City and Wilmington, N.C.; Georgetown and Charleston, S.C.; and Savannah, Ga. The speed limit is in effect from Nov. 15 to April 15 off Brunswick, Ga., and Fernandina, Jacksonville and Cape Canaveral, Fla.
As the whales migrate north, the speed limit goes into effect in Cape Cod (Mass.) Bay from Jan. 1 to May 15, off Race Point at the northern end of Cape Cod from March 1 to April 30, and in Great South Channel from April 1 to July 31. Bales-Sherrod says it&apos;s too early to tell if the speed limits are reducing the number of ships striking right whales because the number of strikes is small to begin with, so it will take time to see trends emerge. "While NOAA Fisheries does not have an estimate on the number of ship strikes the speed restrictions will prevent, the goal, of course, is to reduce the number to zero," she says. 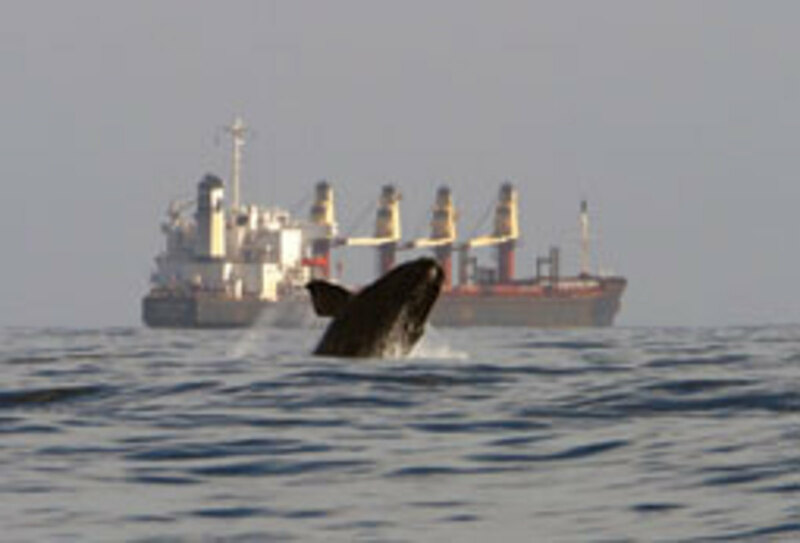 "Having said that, there have been no known right whale ship-strike deaths since the implementation of the rule."